10 years ago, Disney began an offshoot brand devoted to nature documentaries. 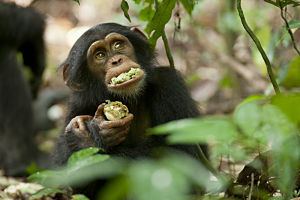 When Disneynature released “Earth” on Earth Day, April 22nd, 2009, the film was an instant target. With the success of BBC America’s “Planet Earth”, and the Oscar winning “March of the Penguins” a few years earlier, was another worldly animal doc necessary? For audiences, the answer was “Yes”. “Earth”, narrated by James Earl Jones, opened to $8.8 million and grossed $32 million in the U.S. Its worldwide total: a Disneynature high $109 million. The studio chose Pierce Brosnan for their next feature, 2010’s “Oceans”. It’s still my favorite of the batch. “Oceans” brought-in $19 million in the states and $82 million total around the globe. In 2011, Disneynature’s appeal took a bit of a dive with the dramatic “African Cats”, narrated by Samuel L. Jackson (just $30 million worldwide). But they bounced back nicely with the more family-friendly “Chimpanzee” (with narrator Tim Allen). It opened to a Disneynature high $10.6 million, grossing $35 million globally. Disneynature took a break in 2013, returning in 2014 with John C. Reilly’s “Bears” ($21M worldwide) and Tina Fey’s “Monkey Kingdom” in 2015 ($17M worldwide). 2016 was another gap year, followed-up with 2017’s “Born in China”, narrated by John Krasinski. With only $14 million total in the U.S., it’s the lowest-grossing domestic Disneynature release to date. The studio was supposed to unveil “Dolphins” in theaters last year, but The Mouse House quietly scrapped plans. There’s some speculation the doc will end-up on Disney+. Their eighth U.S. theatrical release, “Penguins” (narrated by Ed Helms), opens this week. Of course, we’ve already had an iconic doc about these creatures, so is there much new to offer? 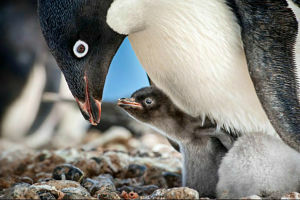 “Penguins” will be a big test for Disneynature, which is celebrating their 10th anniversary with this film. Will families flock to see this 77-minute tale, just as they did in ’05 (to the tune of $77 million)? Through the ups and downs, Disneynature’s mission of providing quality content and donating to worthy animal preservation charities has been commendable. Here’s hoping “Penguins” allows the studio to continue to thrive.